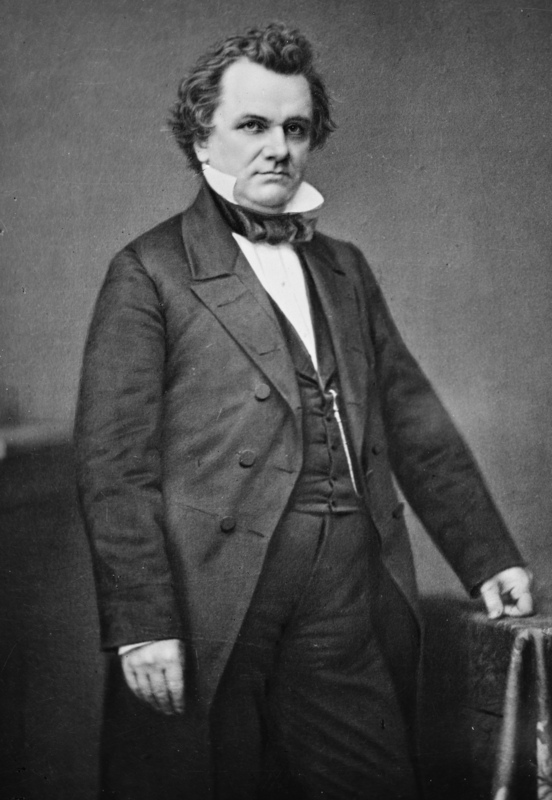 If Stephen Douglas threw the future of Kansas as free soil into doubt with the Kansas-Nebraska Act, he left open the possibility that freedom would prevail. 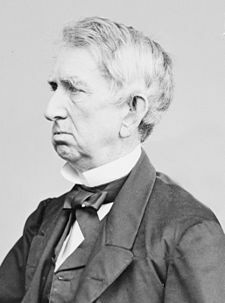 At various points, he said that he expected it to do so and thus the tremendous strife in Washington, in the newspapers, and out in the nation at large over the fact amounted to much ado about nothing. If slavery would not flourish in Kansas anyway, why worry about the fact that Kansans could legally introduce it? They’d just waste their time. Neither the Missouri slaveholders doing just fine a few miles away from Kansas, drained by the same river, and outraged by its potential as an abolitionist base for slave stealing nor the antislavery North though slavery in Kansas a bloodless abstraction. For both parties, to varying degrees, slavery in Kansas meant the possibility of slavery in Utah and New Mexico to say the least, and perhaps slavery all the way up to Canada. It could mean on one hand the regaining of lost parity for slavery in the Senate and on the other a wall of future slave states that would help turn the Union entire into an empire for slavery. No sane man can close his eyes to the fact that this great northern party, which is being organized on sectional issues, contemplates servile insurrection, civil war, and disunion! Sir, every man who joins this new organization with the black flag of Abolition floating over it; every man who prostitutes the pulpit to the advancement of demagogues and the encouragement of violence; every man who goes into this unholy, treasonable alliance, will be marked by the people for his treason. By your speeches you encourage mobs, you instigate rebellion, you stimulate violence, and then shuffle off the responsibility upon others, and leave your simple, unfortunate instruments and tools to bear the odium, and in some cases suffer the penalty of the law for crimes which you caused to be committed. Every murder that shall be committed, every drop of blood that shall be shed, every crime that shall be perpetrated must rest, with all its guilt, upon your souls; and I only regret that the penalty of the law cannot fall upon the heads of the instigators instead of the instruments who suffer themselves to be acting under their advice. Antislavery rhetoric could get pretty wild, sometimes to the point where even sympathetic modern readers find their eyes rolling. I know mine have. But their standards of political speech differed from ours and we must allow that they did grapple with what they saw as existential concerns. Within a decade, they proved themselves right to think that the future of slavery and the future of the nation formed one and the same issue. I accept your challenge; raise your black flag; call up your forces; preach your war on the Constitution, as you have threatened it here. We will be ready to meet all your allied forces. The people will prove true to the Constitution, and true to their allegiance to the Union. You cannot carry out the programme threatened without an attempt to overthrow the Government. You cannot carry it out without destroying all fidelity to the Constitution. Now we are ready for the issue. “Self-government and the Constitution” is our motto, and under that banner we will fight the battle and achieve victory. That all speaks for itself, but one bit warrants calling out. The black flag, in the parlance of the time, meant not just the flag of a hateful cause. Rather one figuratively raised the black flag at war to announce that one would give no quarter and expect none in return. It meant no mercy and no surrenders. The fight would go on until one side or the other ran out of people to kill. This entry was posted in Bleeding Kansas, Kansas-Nebraska Act, Road to War and tagged Antislavery, Democrats, Free Soil, Seward, Stephen Douglas, Whigs.